JK Toth is an award winning, full-service production company specializing in narrative film. Please Visit Our Video Channel! JK Toth has just been announced as a Quarter-finalist for its impressive entry into NextTV's Directing Talent Search. In particular, David Toth has been recognized for his outstanding directorial acumen for the music video, "Dream of Love's Last Dying Breath" by Evan Russell Saffer, which drew over 85,000 views in its premiere. Congratulations to JK Toth. From the literally thousands of entries in this Director's competition, JK Toth (David Toth) has been selected as a Quarterf-finalist! Click-on the link above to view the supporting webpage. JK Toth has really been elevated in the last two years. In case you haven't seen it lately, attached is the link to JK Toth's major music video, "Dream of Love's Last Dying Breath" that is causing all the commotion among the esteemed panel of judges, film critics, and industry experts. Rated R, for Ruthless. Parental Guidance. Even though JK Toth has grown substantially over the past year, the company continues to reach out to the communities it services, and seek out significant partnerships and business alliances wherever they may be found. An example of this is JK Toth's recent decision to join the expansive Harlem Chamber of Commerce as an active, dues-paying Member. Please continue to support the hot JK Toth as we continue our upward ascent. 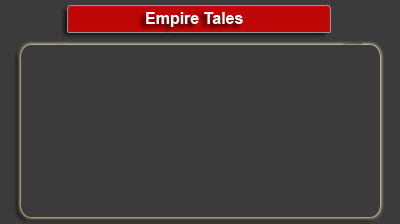 JK Toth is pleased to announce that work on its Empire Tales feature film has resumed. JK Toth has two episodes of the trilogy completed and has finalized the script, first round of casting, and main location for the ultimate episode. Yet to be selected are the shoot dates, Executive Producers and supporting cast. The third episode, tentatively entitled "The Girl Who Cried Wolf", has already received positive attention from the market and media. Look for more information on this project in the upcoming weeks. Interested investors should call the number listed on the JK Toth web site. Work has begun on the latest installment of JK Toth's popular MasterChef Theatre. Importantly, in this episode, the sets will be upgraded and a new MasterChef will be introduced. As usual, sponsors are invited to contribute ahead of time as opportunities for visibility become quickly limited. Television commercials, corporate mentions and product placements are still available at this time. JK Toth was honored to be chosen as one of the premiere video providers for the prestigious Teachers College of Columbia University. In its assignment, JK Toth will be capturing a wide variety of university lectures, functions and special events, with an eye towards promotion. The footage will be fully edited to be featured on TC's web site. 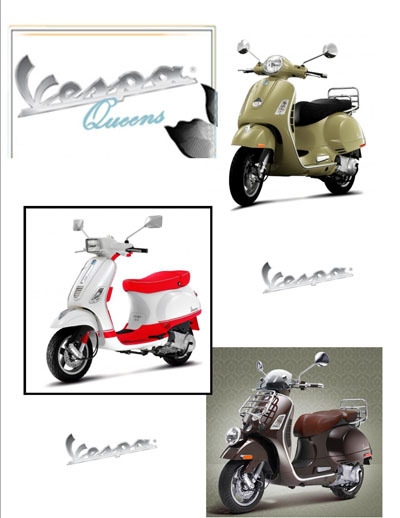 JK Toth has completed its contracted work for client Vespa Queens of New York. A new television commercial has been released featuring a 1960s retrospective in the Sophia Lauren glamor mold. JK Toth has undertaken and completed a unique project for a well-established family. They were commissioned to create an heirloom quality video memorial for the Patriarch's 80th birthday celebration. The work consisted of compiling over 40 years of assorted formats ranging from Super 8 film to VHS to miniDV and still photographs. The sheer volume of material made it challenging as JK Toth did full sound editing, special effects, titling and more to create the finished feature. MasterChef Theatre. JK Toth is ramping up for the new episode of MasterChef Theatre. The latest iteration will benefit from a full-blown JK Toth creative treatment and will feature never before captured preparation techniques and recipes. Stay tuned for further information as details will follow. In preparation for the upcoming Vespa commercial shoot, JK Toth has begun interviewing for actors and extras. The commercial has a tentative completion date of April 2012. On January 26, 2012, JK Toth and Evan Russell Saffer premiered the video “Dream of Love’s Last Dying Breath” at New York City’s historic Tammany Hall. The premiere was sold out and the video has since gone viral http://www.youtube.com/watch?v=iG8O4IHIUpA to the tune of 75,000 hits.  The video was chosen as “video of the week” on www.musicsubmit.com and is still featured there. JK Toth today finalized a deal to shoot a screen test marketing loop for diversitywork.com. The deal comes amid increased interest and desire for jobs due to a tight job market. JK Toth Acquires Yet Another Sponsor !...JK Toth Film Productions is pleased to announce and welcome aboard its newest significant Sponsor, Word of Mouth Hand Detailing and Carwash. Word of Mouth will be sponsoring the next episode of JK Toth's popular MasterChef Theatre, starring Antonio Scarpati. The impressive Word of Mouth establishment, conveniently located at 25 S. Bedford Road in picturesque Chappaqua, NY. They specialize in complete, inside-and-out restorative cleaning with a highly-personalized touch and great regard for individual customer concerns. Please call them at 914-220-0907 and set an appointment for a clean you'll never forget. Interested sponsors for MasterChef Theatre should contact JK Toth right away by utilizing the Sponsor tab on this site. This newest episode is almost closed out. 9/13/11 JK Toth Acquires New Sponsor and Advertiser For Popular MasterChef Theatre Series JK Toth has struck a deal with the prestigious, authorized Vespa/Piaggio dealership, VespaQueens (www.vespaqueens.com), located in Long Island City, not far from the historic Williamsburg Bridge. In this comprehensive agreement, VespaQueens has agreed to a Major Sponsorship of the groundbreaking gourmet video spectacular MasterChef Theatre featuring Italian superchef Antonino Scarpati. Chef Tony, in each episode of MasterChef Theatre, readily demonstrates the culinary expertise that has turned him into a personal chef sensation. Chef Tony shares the kitchen spotlight with his two young and very-capable daughters, making this programming unique, family-oriented teaching entertainment. Viewers can simply follow along in real-time to prepare the dishes with the same mouthwatering integrity as Chef Tony. In addition to their episode sponsorship, VespaQueens has contracted JK Toth to produce a new television/cable/internet commercial on their behalf. The new VespaQueens commercial spot will benefit from a bottoms-up original creative and production effort from the red-hot JK Toth Production company. JK Toth is finishing up production on the Evan Russell Saffer “Dream of Love’s Last Dying Breath” music video, and will soon begin set design and staging for the latest installment of MasterChef Theatre, featuring Antonino Scarpati. JK Toth welcomes aboard its newest client and sponsor, VespaQueens. Chef Tony’s local vehicle of choice is his Vespa. Be certain to visit the Vespa Queens website and showroom, and to purchase your new Vespa from their impressive inventory. *****On Friday June 3, 2011, JK Toth completed an agreement to have its programming aired to an additional prime audience in Westchester County, NY. 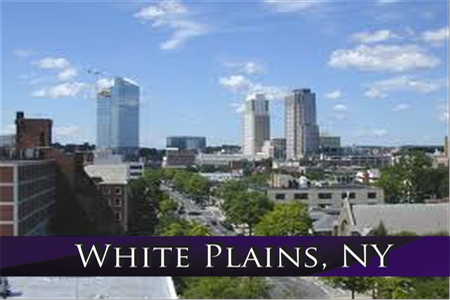 The White Plains Regional Cable Channels extended several weekly spots to JK Toth, who will benefit to the tune of over 22,000 households; this in addition to the 55,000 Lower Hudson households already being covered. JK Toth will be providing short-form movie programming, and its popular MasterChef Theatre series. Plans and negotiations are underway to add the town of Greenburgh, the massive city of Yonkers, plus parts of Brooklyn, and Queens NY to the rapidly-expanding JK Toth Network. When the deals are consummated by September, sponsors and advertisers will have access to over 200,000 affluent-demographic households through The JKToth Network, and by utilizing Toth's unique, quality programming. ****May 17 -- JK Toth announces the completion of the first episode of Antonino Scarapati's MasterChef Theatre. The segment turned out to be a real eye-opener in many ways. Plans are underway for multiple cable TV airings of this segment covering major segments of the New York Metro market as well as tie-ins to other web sites. The episode is being divided into three segments. Be sure to check out Segment Number 1 on Wednesday, May 18th. ******JK Toth Productions, LLC, is on a business roll. The hot young video and film production company, fresh on the heels of inking its first major music video deal, has agreed to terms with Italian personal chef sensation, Tony Scarpati. The well-known and influential cook, hailing from the cultural heart of Chappaqua, NY, eagerly anticipates having some of his magic captured and translated onto film at the skillful hands of director D.B. Toth and company. JK Toth Productions, LLC is slated to begin production immediately on a premier multi-segment effort, to be added to the popular online MasterChef Theatre series. JK Toth has just finalized a comprehensive agreement with Evan Russell Saffer to produce Saffer’s next major Music Video. The new track, entitled “Dream of Love’s Last Dying Breath”, will benefit from a full-blown JK Toth creative effort including R & D, original concept development, script writing, casting services, set direction, HD filming, post-production, and deluxe editing. Be sure to follow the video’s progress to completion with the periodic JK Toth updates and announcements. With JK Toth at the helm, it is certain to set a new entertainment milestone for music video style and originality. JK Toth is currently scheduling projects for the few remaining spring and summer time frames. To schedule your special movie/video project, call 914-319-1691 immediately and ask for the Marketing Director. 2/17/11--HERE AT LAST -- The much-anticipated HD compilation of the 7, hot, BAND WARS competitors in action. The show took place Jan. 14-15th at the Uptown Theater.
' world premiere and BAND WARS in Utica, a major-market TV talk show has taken notice of them and invited them as guests. Tyear TV, of Manhattan and Brooklyn fame will be shooting an episode this Saturday, January 29, for future airing. On it, JK Toth will announce their next great undertaking. Stay tuned for further details. ******ANNOUNCING, The Reel Deal by Clarence Donowitz. JK Toth is delighted to announce a new movie review column by the reknowned Clarence Donowitz. Each week on Thursday, Mr. Donowotz will review one or more films in the unique way that only he can. Writer/Director D.B. Toth, and Director of Marketing Cyril Caurthens, both of JKToth, were guests on the popular "Keeler in the Morning" radio show, broadcast out of Utica New York. The lively discussion included Paul Buckley, an influential area resident and Governmental facilitator, and spanned a wide range of topics. Questions were posed concerning the upcoming Empire Tales movie and BAND WARS event, and some interesting facts were brought to light, with the comments heard by thousands in the listening audience. This is a must for fans of JK Toth. Writer/Director D.B. Toth today appeared on "Keeler in the Morning", a.k.a. "The Keeler Show" at 9 am as a special guest and commentator. Mr. Toth discussed the making and challenges faced in producing "Empire Tales" the movie and shaping the BAND WARS competition. Mr. Toth also appeared twice on WKTV, at noon and at 5 pm. Mr. Toth's appearances were well received by the diverse audiences reached. Newsline, U.S.A. - Utica, NY December 10, 2010. JK Toth confirms a multi-faceted promotional alliance with Saranac Brewery, a company with a century-old tradition. The latest JK Toth series, "Empire Tales", prominently features the national Saranac brand. , a two-day Battle of the Bands extravaganza culminating in the crowning of a champion. Alcoholic beverages will be served. Check out the Premiere Trailer Below. Empire Tales: New York was just the beginning"...JK Toth brings to stunning life its acclaimed Empire Tales Trilogy. Parts One (4th of Summer) and Two (Chance Encounter) are finished, and plans are well underway for the Final Part Three -- the crown Jewel -- THE GIRL WHO CRIED "WOLF".